Going overseas is always a dream come true, but experiencing what’s in our own backyard should be on everyone’s bucket list as well! 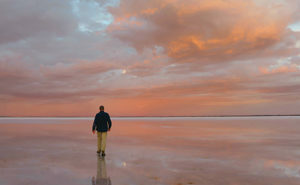 Trade Travel have tours ranging from 2 to 10 days in duration that include the amazing and much publicised Wimmera Mallee Silo Art Trail plus an exciting new venture at Sea Lake that showcases the brilliant colours of the glistening pink salt pans, sunsets and sunrises across Lake Tyrrell. These two wonderful attractions can be experienced on our 2 day “short break escape” if required, but you can also extend these tours out to 3, 4, 5 days, all the way up to 10 days. These extended tours can include the Murray River townships of Mildura and Swan Hill and further afield to Broken Hill, White Cliffs, Menindee Lakes, The Flinders Ranges, Arkaroola and all that lay in between. Perhaps our 3 day tour is just what your club is looking for to kick off 2019! The Rivers, Salt & Silo Art tour heads to Swan Hill and Sea Lake via Boort & Lake Boga. 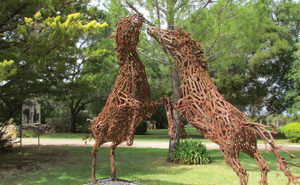 The amazing “Spannerman” is the first stop, strolling through the two-acre garden, home to many larger-than-life sculptures made from old and antique spanners placed amongst trees and garden beds is definitely a unique experience. Once in Swan Hill we enjoy the spectacular new laser lights and water show “The Heartbeat of the Murray”, the first of its type in Australia which depicts the history of the Murray River from before land form to present time. Of course a stop in Swan Hill would not be complete without a paddle steamer cruise on the Murray River or a stroll, horse carriage or a vintage car ride through the Pioneer Settlement. The fun is not over yet as Sea Lake is the next stop on our “short break escape”. Staying overnight in the new unique modern accommodation in the heart of the Victorian wheat belt is an experience in itself. With a population of just 642 the rural township of Sea Lake has much to offer as we will find out! Photographers dream of amazing sunset and sunrise photo shoots, at Lake Tyrrell one won’t be disappointed. From the platform at the lake or on the lake itself we will view the spectacular colours of a Lake Tyrrell sunset – absolutely beautiful. Capture a personal mirror image photo minutes before sunset with the ever changing colours of the sky and sparkling pinks across the lake surface. Again we can enjoy the magic of Lake Tyrrell arriving early morning while it is still dark to experience the first glistening rays across the salt water. 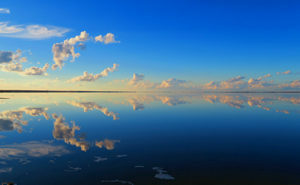 Back in Sea Lake we visit the amazing Sky Mirror Gallery, which showcases some stunning images of Lake Tyrrell’s ever changing colours. 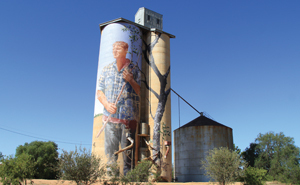 On the last day of this tour we drive down along the Wimmera Mallee Silo Art Trail, Australia’s largest outdoor gallery, stretching over 200 kilometres, linking the neighbouring towns of Patchewollock, Lascelles, Rosebery, Brim, Sheep Hills and Rupanyup. Each of the 6 Silo Murals depict characters and storylines associated with the rural farming townships. Experience these epic artworks and more with Trade Travel! For more details and full itineraries please contact Trade Travel on 1800 034 439 or email groups@tradetravel.com.